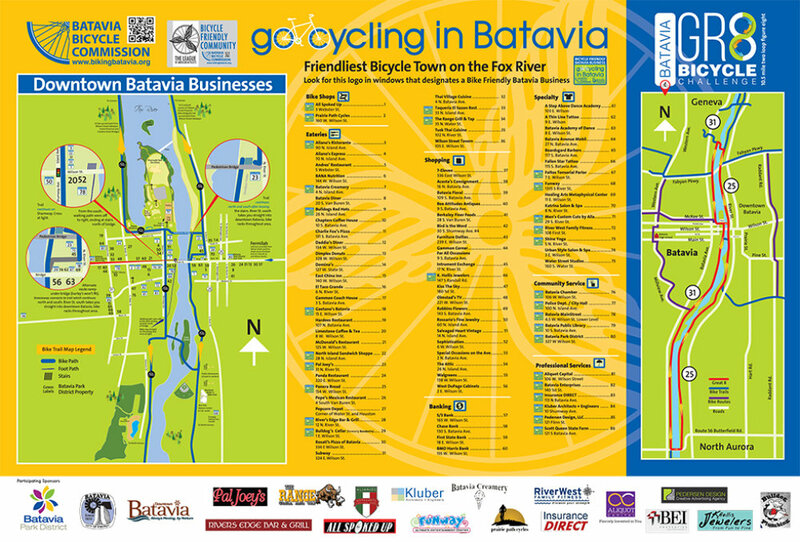 Batavia, Illinois is a Bronze level Bike Friendly Community awarded by the League of American Bicyclists. Demonstrating its commitment to a healthier community and alternative forms of transportation, the Batavia Bicycle Commission plays an active role advocating for Bike friendly policies, education and infrastructure. How well do you know the Bike rules of the road? Take this quiz to find out! Batavia is home to and connects to beautiful bike routes and trails. Explore all the Fox river, natural prairies and Fox River Valley cities have to offer! Want to get involved in building a Bike Friendly Community? Hit the "Learn More" button to get information about the Batavia Bike Commission's meetings.